This might just very well be the best restaurant in the world… that is adjacent to a DMV. A dubious distinction by all accounts, but don’t let that sway you, because even if it weren’t right next door to the DMV, it would still be pretty damn good. So if you’re in the area, pounce. And if you’ve just spent an infuriating day at the DMV, double pounce. The setting is surprisingly nice considering its locale, although it’s not a place I would propose or anything. That said, it’s set far enough away from the road and the DMV parking lot to make you feel like you are elsewhere. But what really transports you is the food. From get go, you know they’re the real deal when they serve you their homemade, fresh-baked bread with a whipped butter-like cream thing that is dangerously habit-forming. And the app-e-teasers proved strong as well. 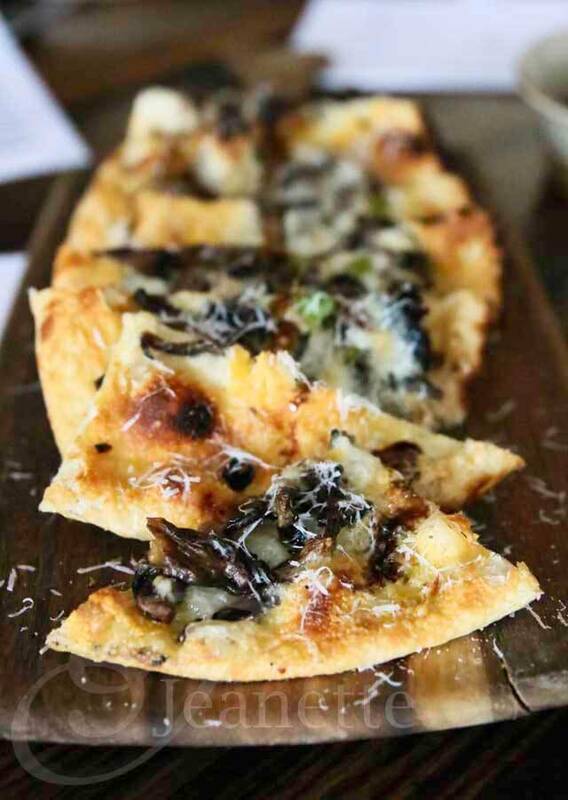 My favorite being the fungi flatbread (pictured). This pie is legit. Doing CT Pizza culture proud. A close second was the buratta, which was melt-in-your mouth creamy, drizzled with balsamic and served up with beefsteak tomatoes and perfectly thin, crisp crostini, just strong enough to provide textural contrast with the buratta, but thin enough so as not to overpower it and let it be the star. A close third for me would be the octopus, just missing the second slot because it was a touch overcooked. But the preparation was wonderful. A mix of fave beans, peas, dill yogurt, fennel, potatoes and chorizo, all drizzled with a kicking’ vinaigrette. The only miss for me was the salmon tartar, significantly lacking in compared to its bunkmates. For entrée, I went with the lamb burger. Not sure why, because I was already pretty damn full by this point, but perhaps it’s because I’m like a dog and would eat myself to death if you’d let me. Pressing on, I managed to hork about two thirds of it down. But like the octopus, I do have to say it was also over-cooked. That said, also like the octopus, the balance of flavors made up for a lot with the tzatziki and the olive aioli. But as good as it is, I’m not suggesting you make a special trip just to go here. I mean it’s still right next to the DMV for Christ’s sake! But, if you happen to work nearby, or be in the area, you could do a lot worse. And if you just failed your driver’s license exam, it’s a nice place to lick your wounds. 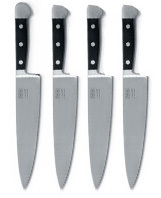 Consider it a VERY strong three knifer, trending four when you adjust for DMV proximity. This entry was posted in $$$, 4 Knives, American, Casual, Dinner, Kid-friendly, Lunch, Norwalk, CT, Smart Casual and tagged balsamic, beans, beefsteak, bread, buratta, burger, butter, chorizo, crostini, dill, DMV, fava, fennel, flatbread, food, fungi, lamb, Lamb burger, mushroom, Octopus, olive aioli, peas, pizza, potato, salmon tartar, tomatoes, tzatziki, vinaigrette, yogurt. Bookmark the permalink.